Probably the wrong wave, I’d imagine. But that’s the point of the story to be told. And let’s tell that story. I’d propose that the notion of banning a film because of some ongoing promulgation by Tom Cruise, about his personal “spiritual” beliefs — in any other context, by another actor or celebrity — would hardly be the subject of query or analysis — let alone mass characterization. What’s the potency here, with the intellectual stance of Elbert Hubbard’s principles, that is so off-putting, by comparison to so many of the other religious zealots who spout their points of view for all of us to understand? Really, who’s yelling louder? It’s one story, or another — but what challenge, to spreading and exploring that word? Which word? Whose word? My word? The Word? While it’s one thing for the political spun sugar of religious glory (and we know which country’s leadership is currently spitting these pennies, it’s another for a person to advance the personal call. That’s the real rile, to any of this. In working, as a designer, with / for Tom in the past (Top Gun, Days of Thunder, Born on the 4th of July, The Firm, Mission:Impossible 1-3, The Last Samurai, Suspect Zerø, Narc— I found focus, discipline, detailed attention and inordinate passion in a willingness to give the virtual all to the work, the production, the performance, the power of expressive experience. Why not laud that, if perchance this is what empowers the character of the Hubbard s c i e n c e. . ? Besides, what drives any of us, to the edge of performance excellence? Scientology Cited in Ban of Cruise Film in Germany. LOS ANGELES, June 25 United Artists, the mini-studio now controlled by Tom Cruise and his producing partner, Paula Wagner, ran into a snag over Mr. Cruise’s religion Monday in Germany. Officials banned the company from shooting a film at German military sites because of Mr. Cruise’s adherence to Scientology. A spokesman for the German Defense Ministry told Reuters that the film, “Valkyrie”, about a 1944 plot to kill Hitler, would not be allowed access to sites, including part of the Defense Ministry in Berlin, where the plot was hatched. The spokesman objected to the casting of Mr. Cruise as Col. Claus Schenk von Stauffenberg, a leader in the failed assassination attempt. The German government has long been at odds with Scientology, which it does not regard as a religion but as a dangerous sect. 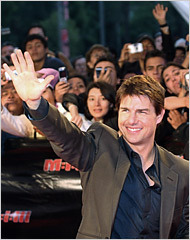 Citing Mr. Cruise’s affiliation with the Church of Scientology on Monday, the spokesman described the church as a cult. “Valkyrie”, which is to be directed by Bryan Singer (“Superman Returns”), has been closely watched as one of the first major film projects to be undertaken under the auspices of the new Metro-Goldwyn-Mayer. Mr. Cruise and Ms. Wagner agreed last November to take charge of United Artists, a unit of MGM, in return for about a one-third stake in the company. They hope to release four to six films a year, to be released by MGM. That affiliation came in the wake of an embarrassing episode last summer in which Mr. Cruise’s longstanding production deal with Paramount ended at the behest of Sumner M. Redstone, chairman of its parent, Viacom. Mr. Redstone cited Mr. Cruise’s public dvocacy for Scientology as one reason for the move. Germany has banned the makers of Tom Cruise’s new movie from filming at military sites in the country because the actor is a Scientologist. 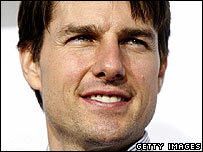 The German defense ministry said Cruise has “publicly professed to being a member of the Scientology cult”. Scientology masquerades as a religion to make money, Germany said, but leaders of the church reject this. 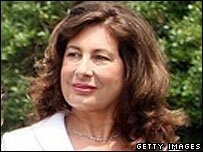 Cruise’s producing partner Paula Wagner said the star’s own convictions had no relation to the film’s content. “Personal beliefs have absolutely no bearing on the movie’s plot or themes,” she said. Scientology has been monitored in Germany in the belief that its activities are “directed against the free democratic order” in the country. Its status there as a commercial enterprise has prompted repeated protests from the organization. Cruise will play Colonel Claus von Stauffenberg in Valkyrie, leader of the 1944 plot to assassinate Adolf Hitler using a bomb hidden in a briefcase, scheduled for release next year. German defense ministry spokesman Harald Kammerbauer said that Germany’s military “has a special interest in the serious and authentic portrayal of the events of July 20, 1944 and Stauffenberg’s person”. Wagner said Cruise’s portrayal in the film would be as a “heroic and principled figure”, while “Germany is the only place we can truly do the story justice”. “We believe the film will go a long way toward reminding the world that even within the ranks of the German military, there was real resistance to the Nazi regime,” she added. Stauffenberg’s son Berthold told the Sueddeutsche Zeitung newspaper earlier this week that he objected to Cruise taking the role because of his involvement with Scientology. “He should keep his hands off my father,” Mr von Stauffenberg said. Mr Kammerbauer, meanwhile, said that official requests for filming in the country had yet to be received.